I can’t believe Gemma just turned 6 months old. I wish I could slow down the clock as it just goes way too fast. A few weeks she found her fingers, sucking away on them to soothe herself, turned over on her tummy all by herself for the first time and let out a little giggle that would have made you think she was in on the joke. All of these little milestones are enough to make a mother melt. Next up one of the big ones_ first foods. When it comes to babies mastering eating there are a few things to keep in mind that make it much more manageable for you and your little one. 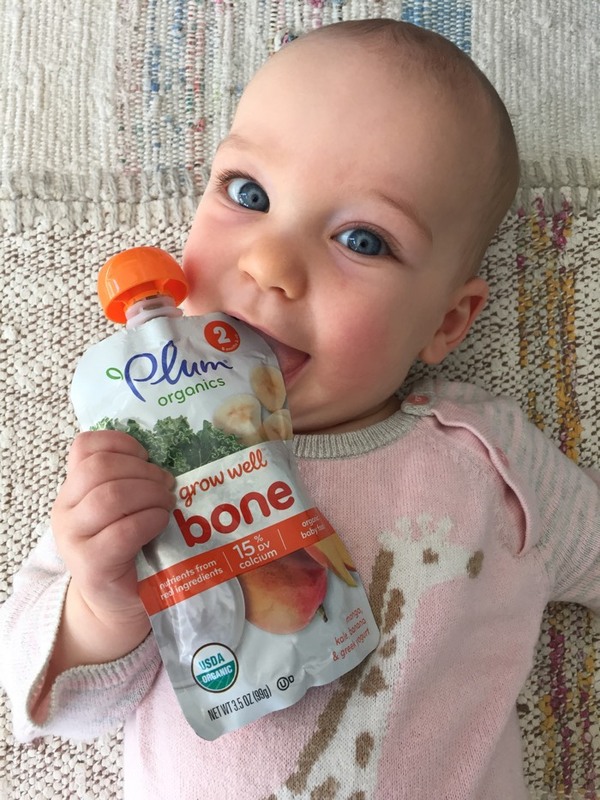 I’ve partnered with Plum Organics to bring you 5 First Year Feeding Tips that will make your new eater's experience even easier. When IS My Baby Ready_ You can ask doctors, refer to books or ask friends, but in my humble opinion the only person who knows when your baby is ready to eat is your baby! Some infants will reach for food on your plate at 4 months and others as late as 8 or 9 months. Don’t stress either way, though, no matter when your baby decides it’s time will be the right time. Start With the Basics_ When your baby is ready to eat for the first time, there are many different options. I personally start with homemade rice cereal. I like mixing it with a little breast milk or formula so you know your baby already enjoys the flavor and gets introduced to a new texture. After rice and oatmeal cereal have been mastered move on to an array of fruits and vegetables. Pick organic foods that are in season so you know they’re ripe and at the peak of perfection. You can start with banana, avocado, sweet potato, persimmon, even gently steamed mashed peas or broccoli. 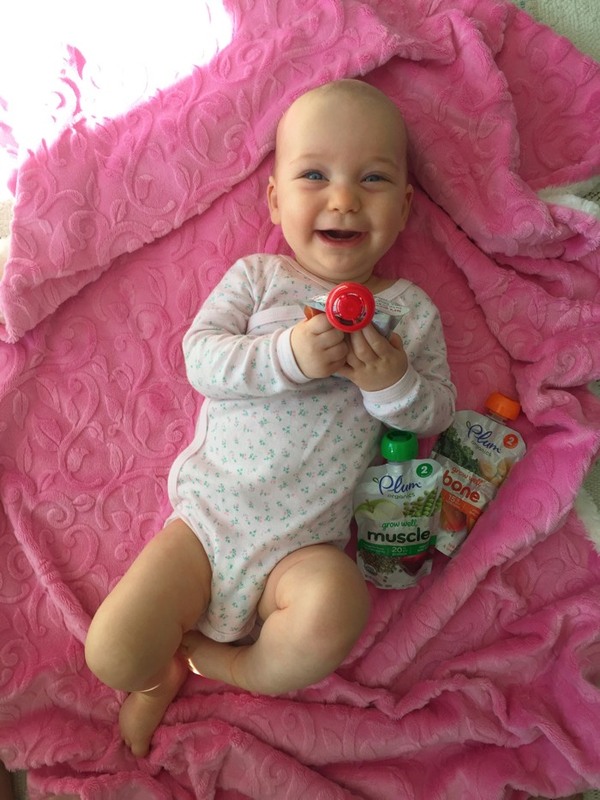 These Plum Organics Grow Well™ Pouches can be a lifesaver so you know your baby is getting the nutrition they need for their growing bodies. 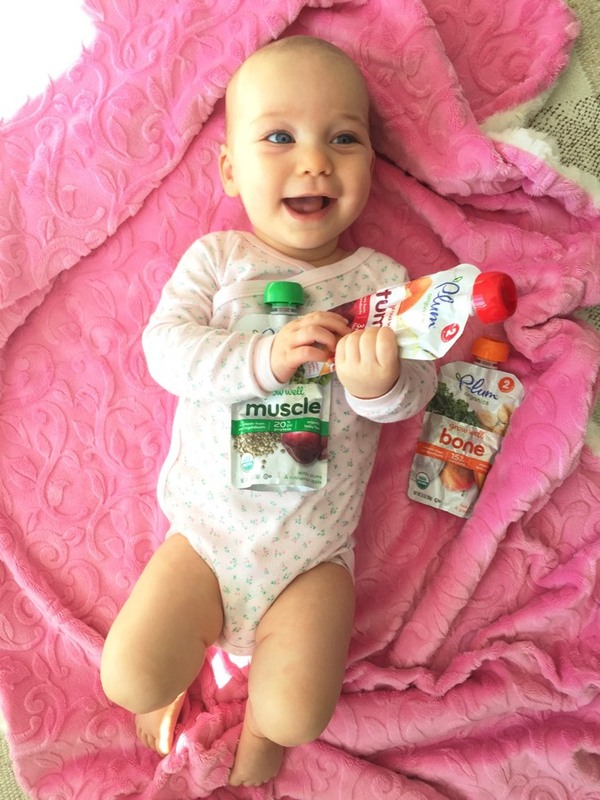 These are a convenient source of organic purees for babies when you are on the go or in a pinch for time and can not make your own baby food. Stay Focused_ This can be easier said than done in the age of technology. As much as possible try to turn off tv’s and put down cell phones. Your baby is following your lead, so if you’re focused on feeding so will your new eater. Time Out_ You may be excited about new baby foods and feeding, but your little one may have other ideas. When Kenya and Chloe were learning to eat in the first year I would get disheartened if they didn’t want to eat or pushed away food they loved just yesterday. Babies tummies are very sensitive and just learning how to digest, so it’s important not to force food on them. I remember spending hours trying to figure out why one of the kids wouldn’t eat only to find out they just had to make a poop and didn’t want to take in before allowing a bowel movement out! Make it Fun_ You may dread the clean up and terrible mess your baby makes, but this is the time to let them at it. Babies need to taste, touch, smell and yes, feel their food in the first year of feeding. Give your baby her own spoon when they’re learning to eat, so they can become an active participant opposed to a passive one. Let them see the food, taste it off the spoon and their fingers. Even talk about the food, telling them what they’re eating and take a few bites yourself. These are all tips for allowing your baby to have complete exposure to the foods and get excited about feeding time. 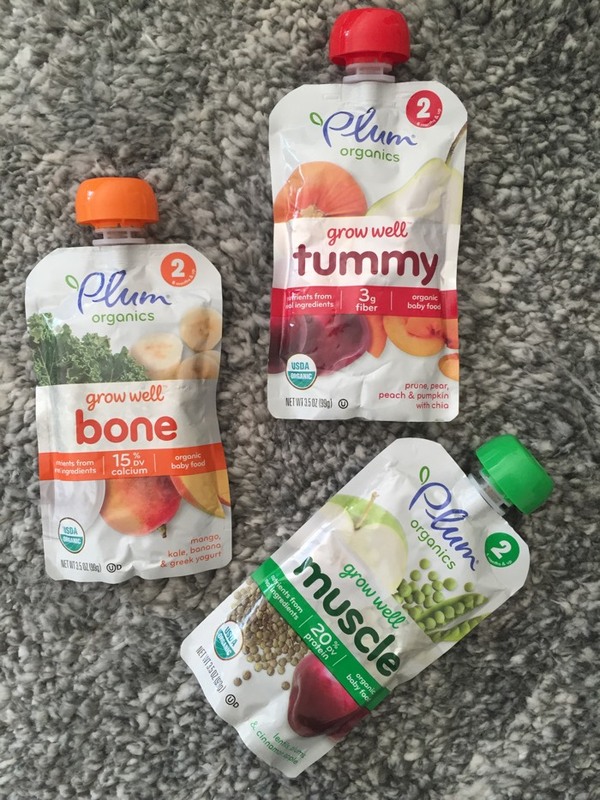 Grab a coupon for $1 off Plum Organics® Grow Well™ pouches. Disclosure: This post was sponsored by Plum Organics through their partnership with POPSUGAR Select. While I was compensated to write a post about their Grow Well™ products, all opinions are my own. Oh my goodness! Love seeing photos of the babe!! I can't believe how big she is already! Great tips, sharing!